William Berkeley was born in Somerset, England in 1606. Soon after graduating from Oxford University in 1624 he was employed in the colonial office. Knighted by Charles I in 1639, Berkeley was appointed as governor of Virginia. During the English Civil War he declared his support for the king. When Oliver Cromwell achieved power Berkeley was forced into retirement and until 1660 concentrated on developing his plantations in Virginia. Berkeley started a second term as governor of Virginia after the restoration of the monarchy in 1660. Berkeley led the military against the colony's remaining Native Americans. He also organised the defence that prevented a Dutch landing on the Virginia coast in 1673. Berkeley appointed Nathaniel Bacon to his governing council but the two men soon fell out about the development of the colony. Berkeley favoured a policy of containment, whereas Bacon wanted to expand into areas controlled by Native Americans. In 1676 Bacon organized his own expedition. Fearing a large-scale war with Native Americans, Berkeley turned his forces against Bacon and his men. Bacon captured Jamestown and Berkeley was forced to flee to the Eastern Shore. However, when Nathaniel Bacon died of fever in October, 1676, the rebellion quickly collapsed. Berkeley took revenge by hanging all the leading figures. One settler commented that he believed "the Governor would have hanged half the country, if they had let him alone". This upset Charles II who had pardoned the men and Berkeley was recalled to England. William Berkeley died in Twickenham on 9th July, 1677. (1) A supporter of Nathaniel Bacon wrote a detailed report of the rebellion but it was nor published in England until 1705. He was critical of William Berkeley who he believed did not do enough to stop attacks by Native Americans. 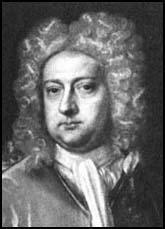 Frequent complaints of bloodshed were sent to Sir William Berkeley from the heads of the rivers, which were as often answered with promises of assistance. These at the heads of James and York rivers (having now most people destroyed by the Indians) grew impatient at the many slaughters of their neighbours and rose or their own defence, who choosing. Bacon for their leader, sent oftentimes to the Governor, humbly beseeching a commission to go against those Indians at their own charge. Mr. Bacon, with fifty-seven men, proceeded until the fired the palisades, stormed and burned the fort and cabins, and (with the loss of three English) slew 150 Indians. (2) Nathaniel Bacon was captured by William Berkeley but he escaped and raised another army to fight Native Americans. General Bacon marched with 1,000 men into the forest to seek the enemy Indians; and, in a few days after, our next news was that the Governor had summoned together the militia of Gloucester and Middlesex counties, to the number of 1,200 men, and proposed to them to follow and suppress the rebel Bacon. Bacon stormed it (Jamestown) and took the town, in which attack were twelve men slain and wounded, but Governor Berkeley, with most of the followers, fled back down the river in their vessels. Here, resting a few days, they agreed to the burning of the town. Mr. Lawrence and Mr. Drumond, owning the two best houses save one, set fire each to his own house, which example the soldiers following laid the whole town (with church and statehouse) in ashes, saying the rogues should harbor no more there. Mr. Bacon returned from his expedition sick of a flux; without finding any enemy Indians, having not gone far by reason of the vexations behind him. Nor had he one dry day in all his marches to and fro in the forest while the plantations had a summer so dry as stinting the Indian corn and tobacco, etc. In a while Bacon died and was succeeded by his lieutenant general, Ingram.